C'mon the Saints! Footy Fever is here and we've got the cupcakes to prove it. 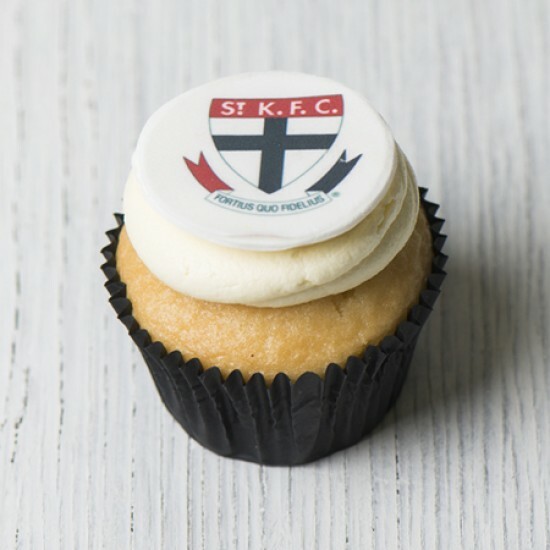 These St Kilda cupcakes are topped with boston cream and the St Kilda emblem.